We can't give you a quote from R.P Man & Van Removal Services, but we have hundreds of drivers waiting to offer you a great price. Have a question for R.P Man & Van Removal Services? No problem, send them a message and they'll email you back as soon as possible. If you have a more general question you might find it answered in the FAQ, or you always contact one of our brilliant customer service team. * R.P Man & Van Removal Services won't be able to see your email address. Experienced Transport service who is available in your area for the date & time you have selected on the website. Please book and review our service for others to see before moving. He went above and beyond. Was a really kind guy and very helpful. Would highly recommend. This removal was a joke. The removal men were almost 2hours late obviously inexperienced and extremely slow. Then refused to carry my items into the house after I pointed it out to them There after they started speaking in a foregin language. My own friends helping were faster at getting everything off the van and inti the house...like I said a joke! Great driver - second time in a row using. He is very busy, so be flexible with timing. He does give a reliable estimate if you call ahead the day of. Overall, a great move. Really good team, very hard working, looked after everything with care, went above and beyond and very attentive to what we needed. The guys were really pleasant and helpful. I certainly would recommend that we use them again. They were absolute troopers but had had a really long day. I think it would be better for drivers to be only able to take jobs when they felt they had the energy to. No disrespect to them or their trade, but they had been moving people out of their homes all day with only bottles of water as their fuel. I felt sorry for them, but ultimately it meant some things were carried a bit carelessly and not as fast as we would would have liked. They were the loveliest people but they had had too many jobs that day. 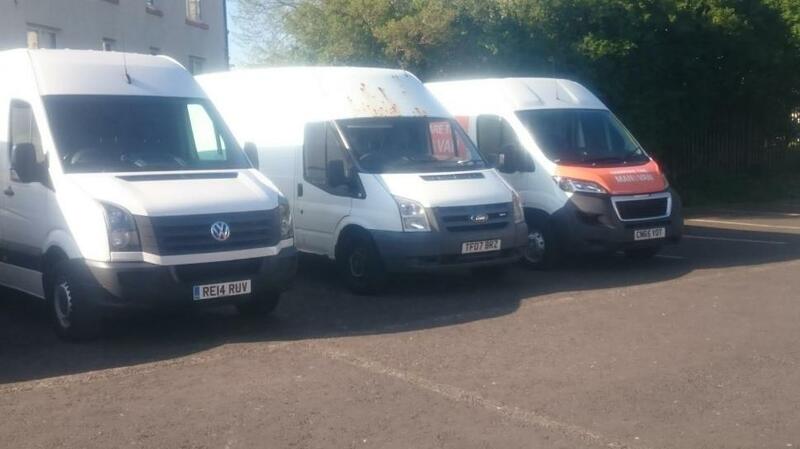 I believe they would be worried about not being given more work if they turned some jobs down, but compare the man and van should protect them from this. All service providers on the platform are independent companies and can therefore choose when they want to work, and how many bookings they wish to complete in any given time period. Very efficient and competent at a very reasonable price. Late because of traffic and very nice and helpful, would use again. Driver was extremely helpful and made the whole experience very easy and straightforward. Highly recommended. Excellent service, received an email one hour prior to agreed time to confirm van would be with me on time. 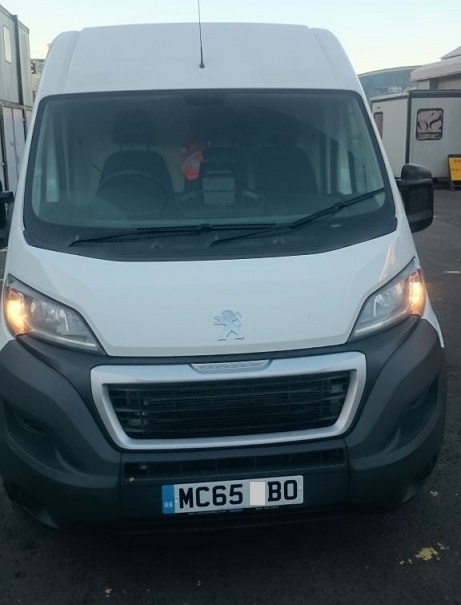 Van arrived on time and was very clean, I would have no hesitation using this company again. Wojciech was a fantastic help, and a pleasure doing business with. The whole operation couldn't have gone more smoothly - very strongly recommended. Arrived 90 minutes late then took about another 20 minutes to actually start moving my belongings as they had to clear out furniture left over in the van first. Did not bring any equipment they needed to secure my items and kept asking me for things to help do their job, i.e., screwdriver, straps, etc. Very slow in moving items and kept complaining any time I asked them to take an item upstairs. A few items were damaged during the move and paintwork was scratched in new house. These guys were amazing. I had one huge couch that couldn't get through the door. I had given up on it, and was ready to throw it in the trash (even though I love this couch), but they kept trying different ways to get it through the doors, and amazingly enough, in the end, they did it!! Very nice guys. I can highly recommend. 30 minutes late for pickup, adding a bit of stress. Was a bit due to peak time and traffic jams but the guys were super helpful, 100% ! Excellent help, very helpful and efficient. Would definitely use them again and highly recommend their services!!! The driver was late but to make up for that he brought someone else to help and they did an absolutely amazing job in half the time! They were very polite and hard working and very careful with my belongings and furniture! Very fast efficient work! Made my move 100 times easier!! OUTSTANDING . The two boys that came couldn't do enough to help, they were very efficient and respectful, couldn't have asked for better. FABULOUS. 5 Stars doesn't do them justice. I would highly recommend them and would use them again at the drop of a hat. Thanks guys. Weather was very bad so drive was a little latewith traffic but was understanable and not a problem. Both boys were excellent, polite and really hardworking. Despite a note of one sofa going to another nearby address on booking confirmaton the driver did not seem to know this but they moved sofa which embarassingly for us proved not to be as easy as we thought it would because of the size of sofa. Again carried out efficiently and without complaint We would highly recommend and I know my son is already recommening then to friends. Have used manwithavan website several times and did not expect the this. These two boys were so helpful they did everything and were always asking if what they were doing was ok. They drove slowly to new house and the driver explained he didn't want to break anything. Shortest review ever because the boys were brilliant and I wouldn't have changed a thing ! They hadn't researched the journey and that it involved a short ferry ride which was very expensive compared to the road option. I paid it, but it was a massive additional expense as they had to pay a commercial rate. However, they were fast, efficient and very courteous. A bit late, but thereafter they were excellent. The driver and his colleague were super helpful, professional, friendly and gave a first class service. Will definitely hire again. Ayaz was an absolute superstar - very professional, efficient and helpful. It was an extremely stressful move for me because of family circumstances and couldn't have managed without his expertise and can-do approach. I had underestimated how heavy and cumbersome some of my furniture was, not to mention the confined space on two sets of stairs however Ayaz was indefatigable, even getting help which I hadn't arranged, and we moved everything safely. A really exceptional, friendly and trustworthy service, would not use or recommend anyone else now. The driver did phone me to say he was going to be a bit later than anticpated! They were most careful with my possessions and did a very good job! Driver did most of luring and provided a good service. A trolley would have avoided so much lifting. Very nice guys. Did my job really quickly and efficiently. Would recommend them. Apart from the blankets to cover the mattresses the service was quick efficient and professional. Their vans were spotless which helped keep everything tidy! I've already done this survey! Excellent service, drivers extremely helpful, courteous and friendly. Would recommend to others. It was a house clearance and he explained that we had to come with the driver to the council tip, as he would be liable for any charges. Ayaz is a very pleasant and helpful man! He was fast and always tried to take as many boxes at the same time as possible, so 2 hours were really enough. Excellent moving experience. We would definitely recommend him! Got mucked in straight away, would highly recommend. Good guy. Our moving session went very smoothly, thank you! Top, top guy.. didn't hesitate in working around me, HIGHLY recommended! Professional and quick move! I would use this company again. Took the stress out of the move. Very helpful and thanks again. extremely efficient. Very pleasant individuals. Ayaz helped take a lot of the stress out of my move! He couldn't have been any more helpful and supportive and I cannot recommend him enough! Easiest move ever! Really friendly driver, very helpful, professional and prompt. Would use again in a heartbeat. Thanks! This is the second time we have used the same driver and both times we have been really impressed with their service. They are punctual, polite, helpful and kept us posted with updates of their movements. We deliver kitchens in Scotland and found a great company to help us when we are in need. Driver was polite, friendly and super helpful. Would definitely use again! The driver was 5-10mins late and he stopped at the Wrong street. However he was very helpful and very efficient so managed to move everything to the van very quickly. Will recommend their service. Very helpful and very patient! Will use Ayaz again! Really helpful driver, we have booked him twice now and both times he has been efficient and helped massively with the loading and unloading. Would definitely reccomend!! Would highly recommend this driver. He was very courteous and professional. Very helpful and nice guy, I would definitely recommend! Driver was ahead of schedule, meaning I didn't have everything ready for him and it resulted in a stressful removal, but he also was helpful outside his obligations and facilitated the process. We do ask our drivers to be on time, so if the driver arrives a little early, he would absolutely wait for you to be ready. In addition, as you say, we can see that although you booked a 'self loading' booking, the driver helped you free of charge so we are very sorry that you still found your move to be stressful. Very good, smooth and easy move. Said originally that we didn't require assistance, but he helped us all the same; friendly and knowledgeable of the city. Excellent service...friendly helpful driver arrived promptly and got the job done quickly and efficiently...I would recommend this service to others. He was slightly late due to an accident on the roads but he kept us in touch all the time . He was very helpful polite and efficient. Highly recommended. Ayaz was wonderful. Highly recommend and would definitely use again. Thanks guys. A friendly, careful, and hard-working guy, definitely going to use his service in the future. Thanks! great service would recommend and will use again! Very polite, helpful and efficient driver. Would be happy to recommend. Your drivers were outstanding and so helpful and very polite. Would most definitely use them again and would recommend others to do so. Fast, reliable and very efficient service. 5 + star service. Also as we were let down by another company your guys stepped in quickly too move us so a huge thank you too both gentlemen. Excellent service ???????????? Friendly, professional driver with prime banter. Thanks Ayaz! Absolute five star service. Ayaz provides a truly excellent service from start to finish - we couldn't have moved without him. Managed to move everything in good time and everything was treated with extreme care! Thank you Ayaz - I will be recommending you to anyone I know who will be moving house! Great company. Very friendly guys and did the job in no time. Highly recommend. A very nice young man who could not have been more helpful. The driver was very helpful and careful during the move. No broken items or complaints. Ayaz is a lovely helpful person who couldn't have done enough for us! Nothing was a hassle completed job in one and half hours and did most of the lifting etc won't hesitate to use again. Thanks Ayaz. Ayaz great: fast, careful and a good packer. I was moving my 84 year old and he was so good humoured, patient and courteous. Extra charges unfair. The delivery was finished within 90 minutes yet for 1 additional drop off - which added 2 miles you charged �20 more. Because your website is limited I'm paying. CMV response: The drivers set their own rates for additional stops and additional mileage. These are charges not imposed by CMV and if you wish to avoid them, just don't add additional address stops and additional mileage to your booking. The driver was very friendly, helpful and very eager to help. Couldn't have asked for more. Ayaz was brilliant. Highly recommend. Ayaz was amazing even though my move included so many flights of stairs. Everything moved in a decent time, the van was packed well so everything was secure. Ayaz is a hard worker always helping out when something looked to heavy for me. Highly recommended. Ayaz was helpful, efficient and respectful both to myself and with my items. I would recommend his services. Friendly helpful all in all a fantastic service thankyou! Very professional and efficient service.. takes the stress out of moving. Very straightforward & efficient with friendly, helpful service. The straps and blankets were not required. I am extremely pleased with the service as I needed an urgent move and I got that. Ayaz Ilyes was very respectful, friendly and prompt. He made my move very simple, easy and stress free. I am definitely recommending it to my friends. Straps and blankets were not required. Ayaz was really helpful and 100% reliable. The job took far less time than anticipated too. Ayaz was fantastic, very friendly and definitely made my move a lot less stressful! Would definitely recommend his services. Punctual, hard working, enthusiastic and great fun ??? ?.